Eligible candidates may apply online through the official website from March 15 to April 15, 2019. Follow the on-screen instruction carefully. Selection Procedure: Selection will be done on the basis of the marks secured in 10th class of approved Boards aggregated to the percentage to the accuracy of 4 decimals. Education Qualification: Aspirants must have passed 10th class. 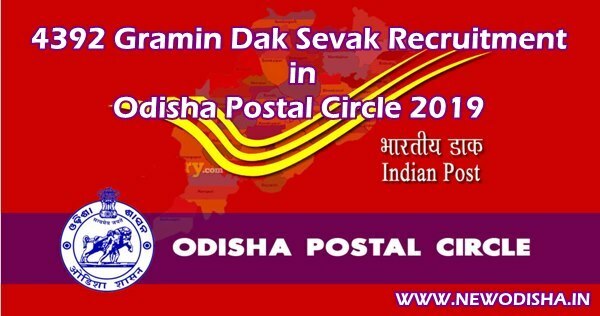 Give Responses for "Odisha Postal Circle Recruitment 2019: Apply For 4392 Gramin Dak Sevak Vacancy"